Concrete Floor Improvement: Paint, Stain, or Epoxy? Home / / Concrete Floor Improvement: Paint, Stain, or Epoxy? Floors are one of the most used parts of a home. However, the abuse is greater for outdoor surfaces. For concrete patio installation projects, it is important to incorporate a floor design that would both increase the aesthetics of the outdoors as well as protect it from damage. There are a lot of concrete patio design ideas out there but three of the most popular floor options for concrete floors are epoxy, paint, and stain. Before you decide, it is important to know the differences and the advantages of each of each one. Known to be the most inexpensive type of concrete resurfacing, paint can be easily bought and applied. However, there are many types of paint and it is important to know the right type for your floor. Also, cement patio or concrete pool deck paint requires professional application if you want it to last longer. The concrete floor needs to be cured with an acid that will help prevent chipping. Then, after the paint has been applied, a sealer also needs to go on it to keep the paint in place in all types of weather and regardless of the amount of foot traffic in that area. Staining outdoor concrete may require a different process in comparison to how to stain interior concrete. However, both are best applied with the help of a professional. There are two types of concrete stain: Acid and Water-based. Acid provides a different finish every as the outcome depends on how much minerals or salt are present on the concrete floor. Water-based, on the other hand, can be easier to control, thus, making it easier to customize the actual look of the floor. The great thing about this type of floor resurfacing is that it produces a very classy and elegant look, sort of like glazed stone or marble. Only professionals are experienced enough to know how to resurface concrete using an epoxy system. Epoxy is a strong type of material that can be applied, with or without an aggregate, on concrete floors to give it a decorative finish. The great thing about epoxy floors is that it is an ideal resurfacing method because it can repair and mask almost any type of damage on concrete. Also, it can be highly aesthetic as you can choose to have an aggregate added, such as pebbles, for that extra gorgeous finish. There is also a metallic type of epoxy finish that is trending nowadays. 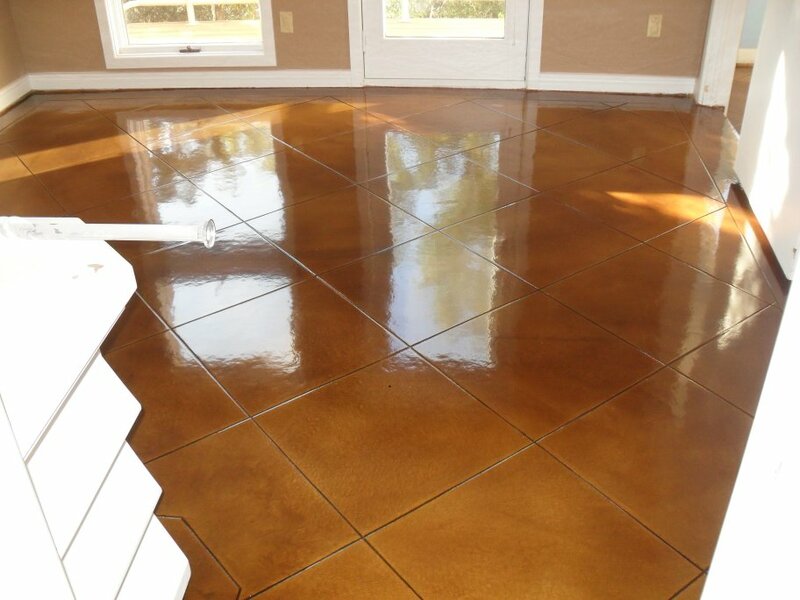 This involves an epoxy blended with metallic pigments which, when mixed and applied, gives the concrete floor a somewhat three-dimensional effect. 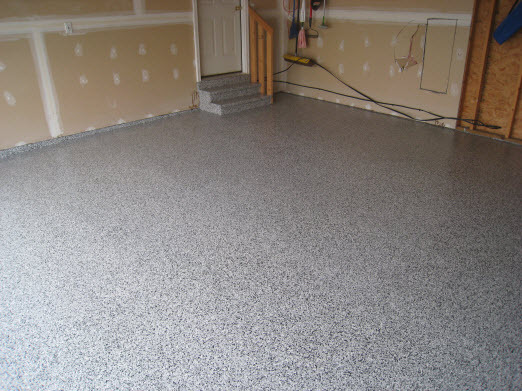 Whether you are looking to have a patio, pool deck, or garage floor resurfacing project done, it is important to discuss your options with a professional and experienced concrete floor expert. This way, you would be able to determine the right type of concrete floor improvement methods that would be most convenient, comfortable, and affordable for you. 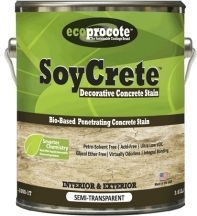 SoyCrete Concrete Stain, A high performance interior and exterior decorative concrete stain. Decorative Concrete staining with SoyCrete creates natural and one of a kind variegated effects without the use of acid stains in about half the time.